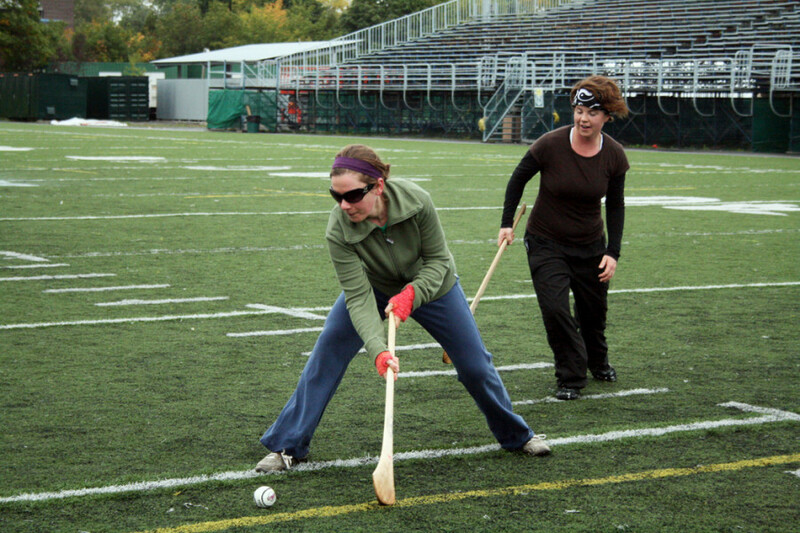 An ancient sport of Irish origin, hurling is known for its similarities to field hockey, lacrosse, baseball and soccer. A match in hurling is played for two equal halves of 35 minutes with 15 members a side on a grass surface spanning up to 145 metres in length. After a 30-year absence from league play, the Shamrocks were revived when they appeared in a tournament last year in Portland, ME, and just recently collaborated with Irish Concordia—a club aiming to shed light on the positive aspects of Irish culture. The goal for a “hurler,” otherwise known as a player, is to use his hurley to gain points by firing the “sliotar”—the ball which is used—either into or over the opposition’s goal. Players can gain possession of the ball only by picking it up with their sticks and “soloing” with it, or carrying it, while maintaining a fast pace toward goal. 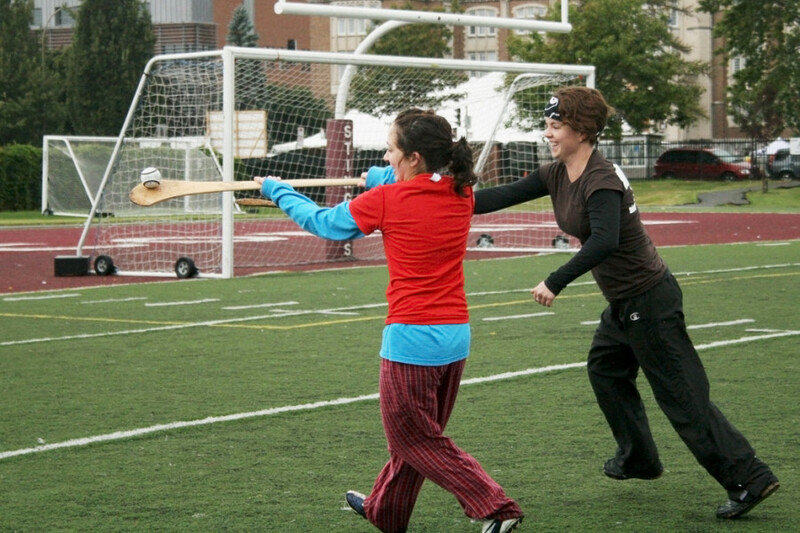 Hurlers can also hold the ball, but only for a limit of four steps, before passing it to a teammate. A defensive player is allowed to hook an opponent’s stick with the bottom of his or her hurley and shoulder-to-shoulder contact is permitted when fighting for a loose sliotar. While hurling can be a dangerous sport, helmets were only made mandatory this year. Heather MacDougall, a PhD student and film studies professor at Concordia, was among roughly 10 people who attended the workshop, and found out about it through Parker, who works in the Canadian Irish studies department. 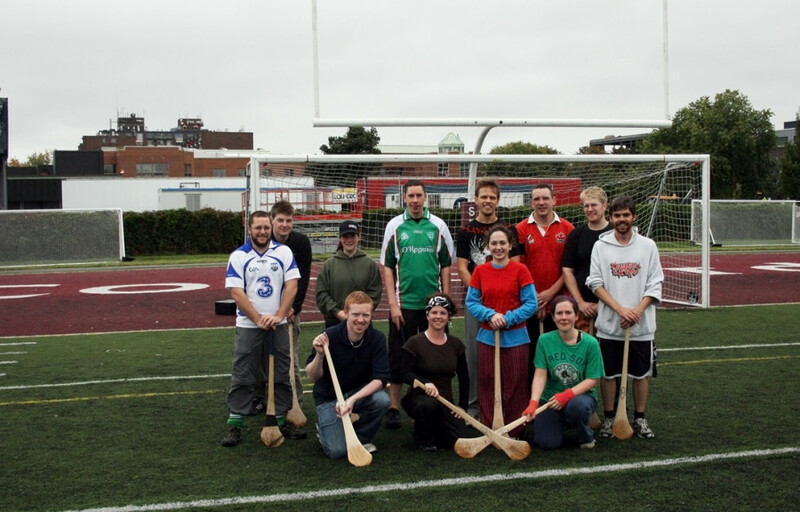 The Shamrocks do, however, hold practices every Saturday at Jeanne Mance Park in the Plateau at 10 a.m. for those interested in playing on a consistent basis. “We’re just trying to get the interest for hurling going and while we’re playing amongst ourselves for now, we’ll try and branch out to more established teams,” said Keane, who also noted that workshops like the one held on Sunday help the recruiting process.